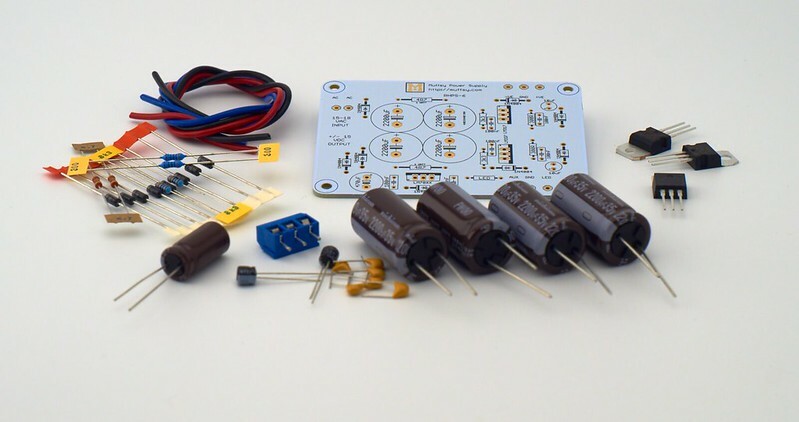 Get the power supply kit with the same order, $2.50 lowered price and $7.50 on shipping. All components are included. Get the back panel with the same order, $2.50 lowered price and $7.50 on shipping. All components are included. 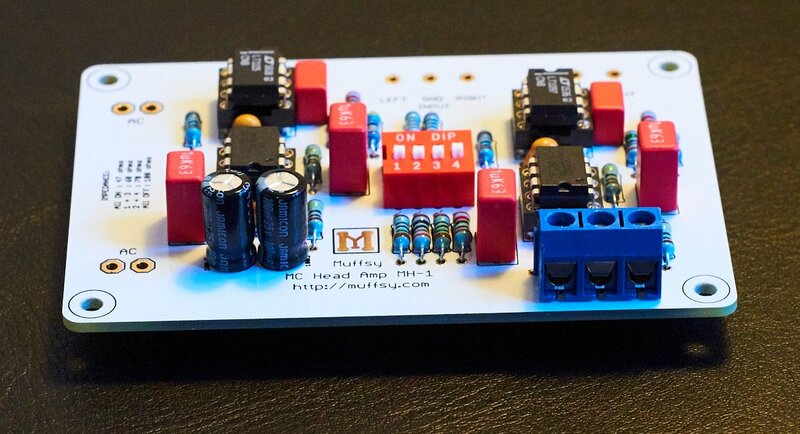 The Muffsy MC Head Amp is a dual mono active step-up preamp for LOMC cartridges. The purpose of a head amp is to allow low output MC cartridges to be used with a standard MM phono stage, such as the Muffsy Phono Preamp. For more information, see here: Why would you want an MC Head Amp? Optimized for any low output MC cartridge, the Muffsy MC Head Amp offers excellent specifications, ultra-low noise, a wonderful great sound stage and superior detail. This is everything you need to get a fully functional MC head amp, except an enclosure and an AC wall adapter (see here for options). The kits contain all the components, connectors and cables needed to build them. 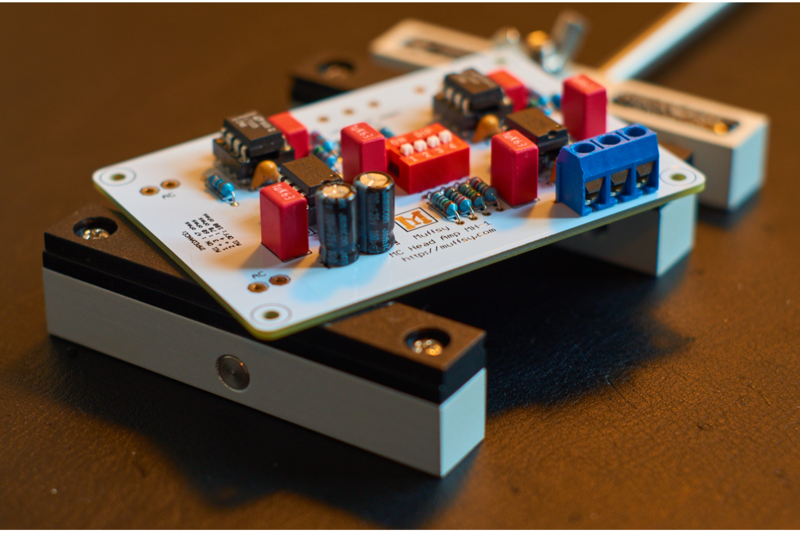 The kit comes with all necessary components to build the complete head amp, and you can add both a power supply and a back panel. It uses only through-hole components, and you can build it even if you have never soldered before in your life. 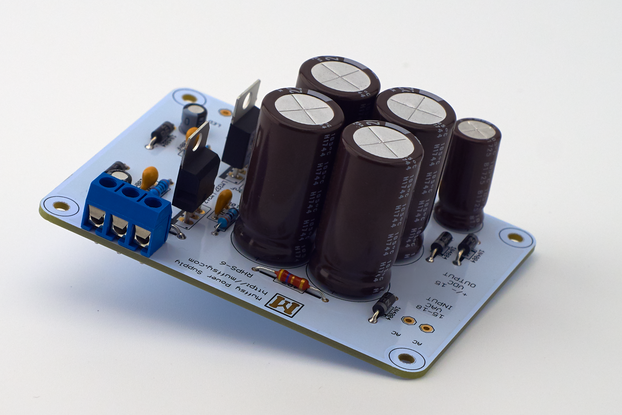 There's a new back panel available for the Muffsy MC Head Amp, order it as an option to the kit. All components are included. Great product, very good pcb's an quality of the components. 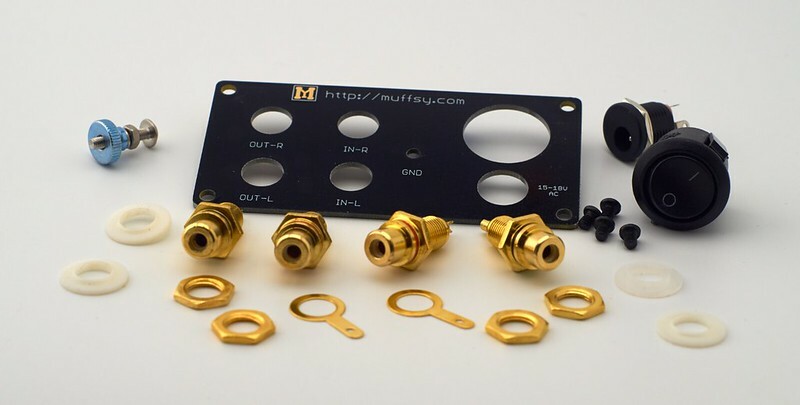 The quality of the pcb's and components are the best. 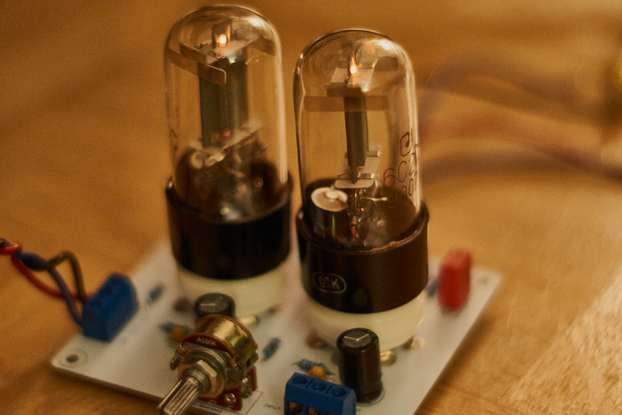 The HeadAmp has a very nice dc-coupled amplifier with dc compensation. Very good design! Also the power-supply with the LM317/337 are great. 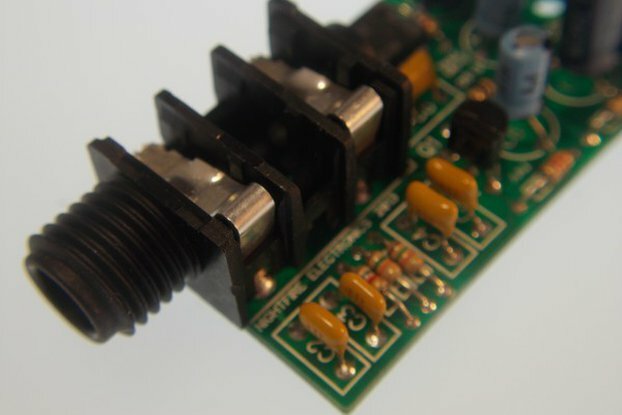 Very low noise power supply with extreme ripple-rejection. - MC-elements tends to have different levels of output (0.09..0.5 mv), dependend of type and mark. In order to compensate that to the 5mv needed, the amplification should vary from 10 to 60 times. This is now not provided with switches. At this moment you have to calculate it yourself and change a resistor. 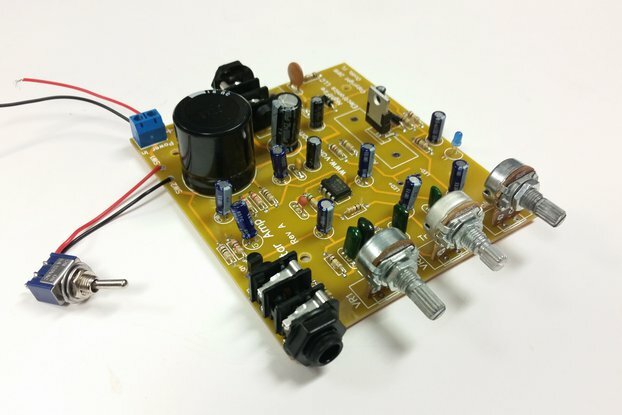 - The noise is very low at this point, but can be enhanced by using 2, 3 or more low-noise opamps tied together with input and output (via 100 ohm resistors) and using the same amplification (0.1% resistors). This can enhance the noice-floor by 2...4 db. Hi Jacco, and thanks for the great review. 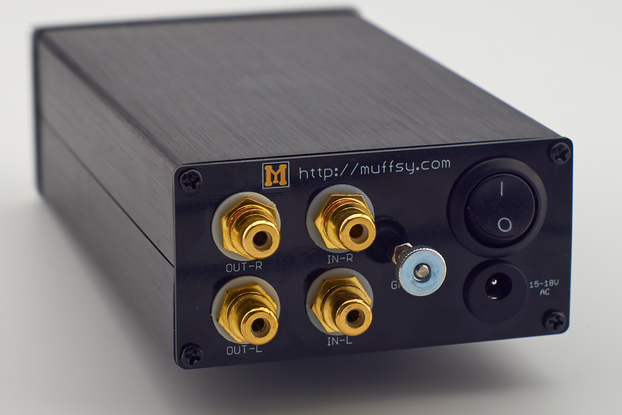 The Muffsy MC Head Amp is primarily meant as a companion to the Muffsy Phono Preamp, which has variable gain from 36 to 46 dB and can handle up to 30 mV input at 1 kHz. This will cover all MC outputs from ~0.1 to 1 mV. I aimed for an SNR of 70 dB or better with a 0.3 mV input, at a certain price point, board size, power requirements and ease of build. I was able to meet these goals.